THISDAY is published by Leaders and Company Limited. It hit newsstands on January 22, 1995 and quickly carved out a niche for itself in business and political reporting and for breaking big news stories. It soon became Nigeria's newspaper of record. 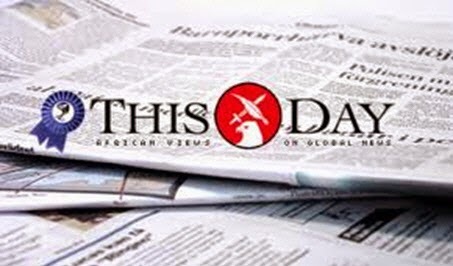 In its first years of publication, THISDAY won the Newspaper of the Year Award for three consecutive years. In 1997 THISDAY also became the first Nigerian newspaper to introduce full colour printing. It now has printing plants in Lagos, Abuja and in the Niger Delta.